The Crawley Town Supporters Alliance- the only official travel provider for Crawley Town FC and the only organisation investing in both the football club and the community for their mutual success- have revised their travel prices for the League leaders (!) 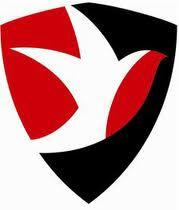 crucial away match at Cheltenham Town next weekend. We are particularly focused on encouraging families to follow our mighty Reds, and as such have introduced a child fare and a family package for both members and non members (although as a family membership would cost only £20 and benefit you for the entire season, we hope that soon you will all be members). Remember, children under 16 must travel with a responsible adult. Coaches leave the Broadfield Stadium at 10AM. Please make your bookings as soon as possible, as if we need to book a second coach we need to make an early decision! Contact Travel Ken on travel@ctfcsa.co.uk or text/call 07843124845- or you can book on the coaches to Crystal Palace on Tuesday night.